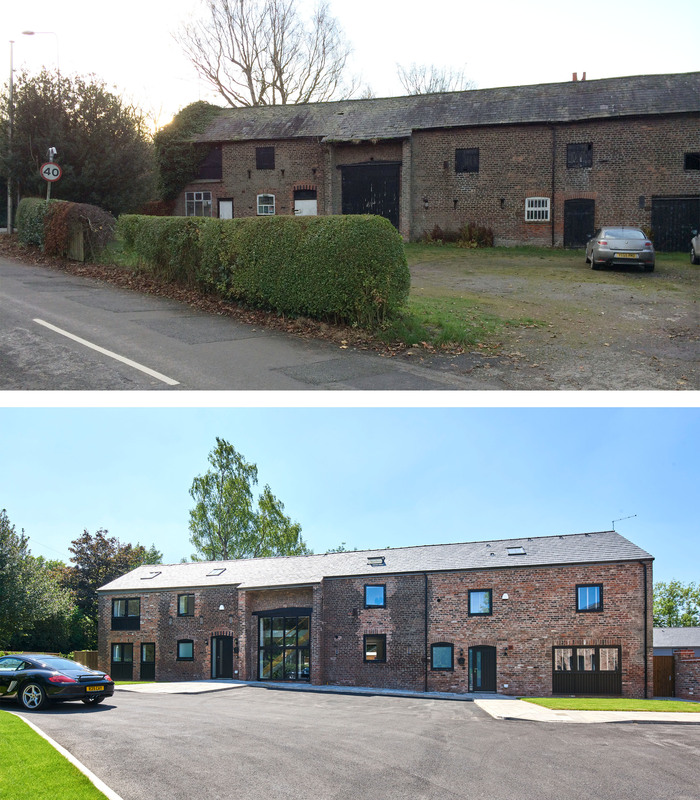 A development consisting of barn conversions, new build houses and remodelling of existing buildings has recently completed on site. 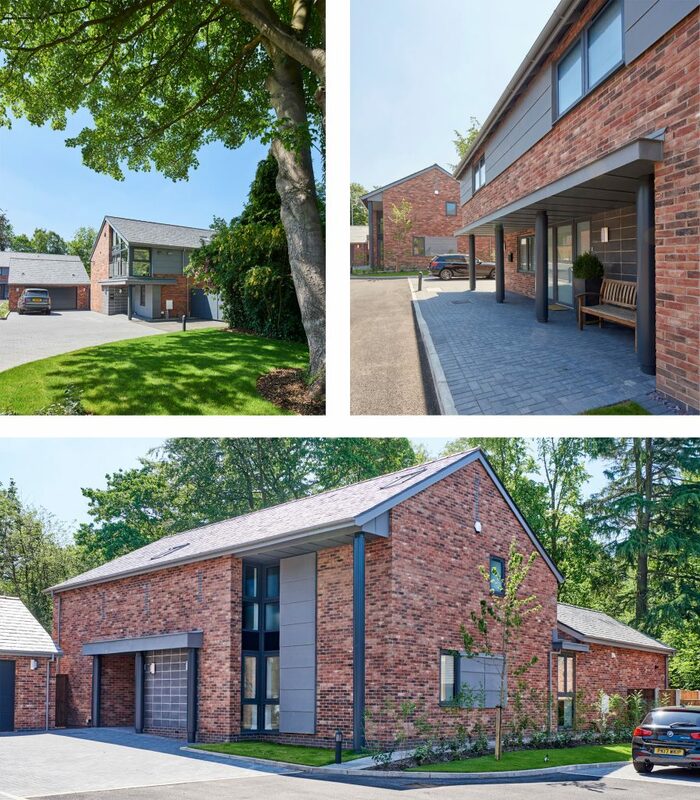 The Bridge House project is a converted farm & smallholding in Thelwall, lying on the edge of open countryside and in a Conservation Area. The existing buildings are locally listed and characteristic of rural Cheshire. The development includes remodelling and extension of the existing farmhouse; conversion of the threshing barn into a substantial 3/4 bed dwelling and a 2 bed dwelling, sensitively arranged to maintain the existing features; the conversion similarly of the haybarn into 3 bed dwellings and several contemporary new build 4 bed dwellings. The project is a development by McCauls. For more information on the development, please click HERE.